This easy salad highlights one of the best fruits of the late winter season: blood oranges. They add color and delightful flavor to earthy lentils and the caramelized flavor of roasted fennel. For an easy weeknight dish, you can cook the lentils and roast the fennel ahead of time and then refrigerate them. Bring to room temperature just before you assemble the salad and you’ll be ready to eat in no time. Place lentils and bay leaf in a medium pot and add enough water to cover by an inch. Bring to a boil over high heat, and then reduce heat to a gentle simmer. Cover the pot and cook lentils until they are still firm but cooked through, about 17 minutes (be careful not to overcook them). Remove and discard the bay leaf. Drain lentils in a colander, and rinse with cool water. Trim fennel of any stalk and fronds (you can reserve fronds for garnish), and then cut each bulb in half lengthwise. Thinly slice each half and place prepared fennel in a medium bowl. Toss with 2 teaspoons of olive oil and then arrange fennel in an even layer on a baking tray. Season lightly with salt and pepper. Bake for 20-25 minutes, tossing fennel once halfway through, until the edges begin to just slightly brown. Remove fennel from the oven and let it cool thoroughly. While the fennel roasts, prepare the blood oranges by slicing off tops and bottoms of the rind. Once the ends are removed, cut off one thin slice of blood orange to use for garnish and set it aside. Set the cut ends of the oranges down on your cutting board, and then use a knife to carefully cut the rind and white pith from the flesh of the orange. As you work, follow the natural curves of the fruit. Once both oranges are peeled, thinly slice each orange into rounds and then cut each round into 6 segments. When you’re ready to assemble the salad, add ¼ cup olive oil, vinegar, mustard and ½ teaspoon salt to a small jar and shake well. 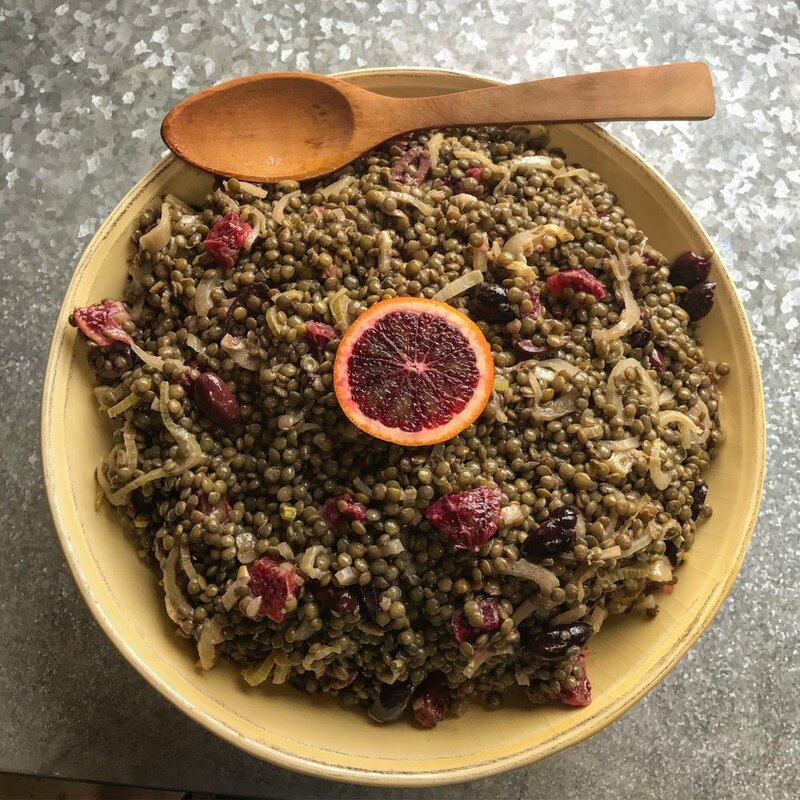 Place the lentils, fennel, blood oranges and olives in a large bowl, and pour the dressing over everything. Use a spatula to stir the salad well, and add any additional desired salt. 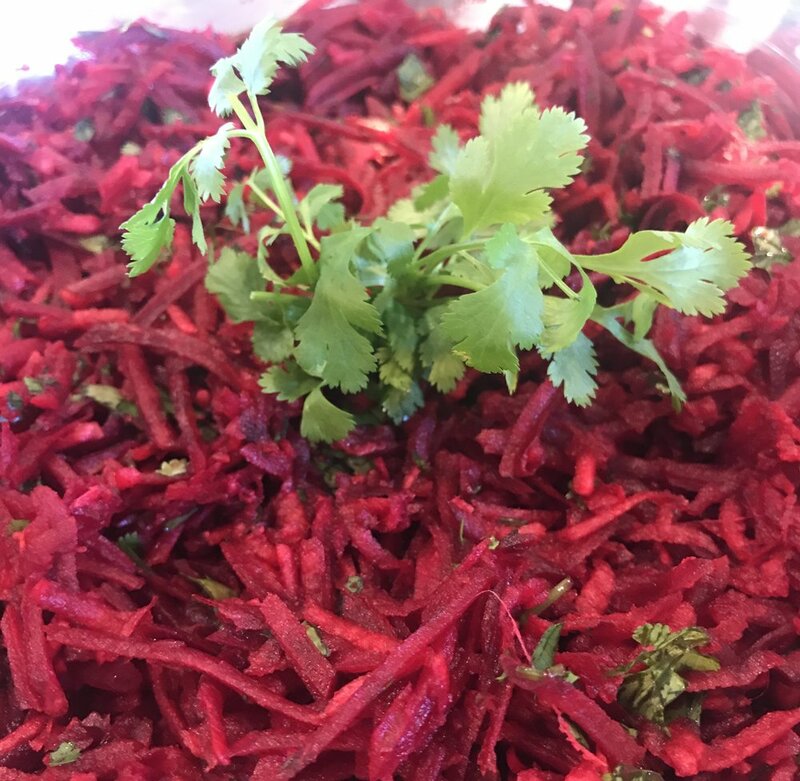 The salad can be served immediately or refrigerated until ready to serve. When you’re ready to eat it, place the salad in a serving bowl and garnish with the reserved orange slice and a few chopped fennel fronds. This warm smoothie is a wonderful way to start the day, or a great choice for a satisfying afternoon snack. It is packed with ingredients that boost ojas - Ayurveda’s term for your body’s most vital energy, aka, what makes you feel really nourished and juicy. With a touch of cinnamon for warming, this smoothie also helps kickstart digestion. I’ve included a couple of herbs that I personally work with in the recipe, but you’re welcome to omit them or replace with other herbs of your choice. I also want to mention that I recently discovered Soom tahini (shown above) via a friend and have to say their tahini is the best I’ve ever tasted. (I hear their chocolate tahini is awesome too!) Check them out if you want to experience tahini like none you’ve had before :) You can of course use any tahini you like though when making this. Soak the pitted dates in a small bowl of boiling water until soft (about 5 minutes). While the dates soak, heat your almond milk over a medium flame until hot. Transfer the soaked dates to a blender (being sure to reserve the date soaking liquid), along with the hot almond milk and all the other ingredients. Blend at a high speed until everything is well incorporated, about 45 seconds. To adjust the consistency if you prefer a thinner smoothie, blend in a tablespoon or two of the date soaking liquid. Pour into glasses and garnish with a sprinkle of cinnamon on top if you like. Enjoy immediately.